Landlords tend to pour much of their time and attention into an ironclad lease agreement. That’s a wise investment. However, even an expertly drafted lease won’t help protect a landlord if the property is not being properly managed. While generally a written lease agreement will prevent a tenant from moving out early, there are common situations where a tenant can break the lease with no legal consequence. 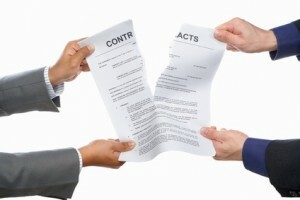 The lease agreement is a contract that runs both ways. If one party fails to hold up their end of the bargain, the other party may be excused from performing. Implicit to the lease is the landlord’s promise that the unit will meet certain standards of habitability, and the tenant will have the right to quiet enjoyment. If either of those implied promises is broken, the tenant may have the right to vacate the unit without any further legal obligation under the lease. Common examples of habitability issues include untreated bug infestations, prolonged lack of electrical power, heat or water, mold, lead or radon, rickety stair railings, and broken locks. Examples of violations of the covenant of quiet enjoyment may include frequent landlord visits without prior notice, dangerous or disorderly tenants or guests, and exposure to secondhand smoke. Then there are the gray areas — the problems that may not be sufficient to force a tenant to move out, but allow lease breaking nonetheless. That may include a temporary lack of heat or air conditioning in extreme weather, or the sounds and smells of remodeling projects. In those situations, the tenant may claim a rebate of any rent and possibly the costs of temporary housing. These claims are most likely to surface only when a tenant is seeking an offset against unpaid rent. If the tenancy laws in the area conflict with the lease agreement, usually it’s the law that wins. So, if a tenant refuses to honor such a provision in the lease, such as paying a higher than allowed security deposit, the provision won’t be enforceable, even if the tenant originally agreed. It’s tempting to take an ‘everything but the kitchen sink’ approach to drafting a lease, where the landlord includes provisions that may not be enforceable, hoping the tenant will still comply. The trouble with that approach is that it can invalidate the entire lease agreement if the illegal provisions cannot easily be severed from the rest of the contract. Another way that a tenant may get away with breaking the lease is when the landlord agrees to a change in the lease terms, and a chain-reaction follows. For instance, allowing one tenant to move out, and then prorating his or her portion of the security deposit could hamper the landlord’s rights to collect for property damage against the remaining tenants. Sometimes a tenant wants to break the lease for purely personal reasons. Generally, a tenant is not legally allowed to do so. The landlord can fight back, and likely will be compensated under the the lease agreement. Local law may require the landlord to mitigate damages. If the tenant moves out over the landlord’s objection, the landlord has a duty to re-rent the property as soon as possible, but the original tenant will be remain liable for any unavoidable shortfall. Some landlords will allow a lease-breaker off the hook and allow them to move out if to do so will prevent additional income loss, including continued missed or late rent payments, or possible damage to the property. A two-step approach which includes a strong lease agreement along with diligent property management is the key to a successful rental business.